I live in the South and, although we have not been hit with the deep freeze and storms like the rest of the country, we've nonetheless, suffered through some dreary days lately. Oddly enough, these dark gray days bring back a flood of memories from my youth. 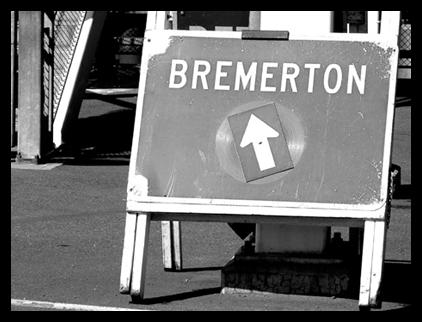 I grew up in the Northwest, Bremerton, Washington to be exact. Our winters were often gray and dreary, often with a light rain. What made it memorable was that our winters lasted nearly six months. 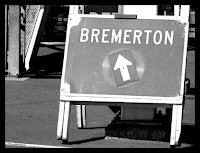 But, when the sun was shining, the Northwest was one of the most beautiful places I'd ever seen -- then and now. It is amazing how much weather affects mood, and a change in weather can often bring with it, a flood of memories and emotion. Same holds true when reading. Writers can affect or convey mood by using weather in their stories. How often have you read, or told a scary story beginning with "It was a dark and stormy night." There it is. You've just set the mood and tone of the story, prepared your reader or listener of what's to come by placing them into a specific time and with foreboding weather. A car pulled to the side of the street about fifty feet from the apartment building. ... In the passenger seat, Lexi looked away from the red glow of the truck's taillights in front of them, and noted the time on her notepad. Okay, the above is just an example (actually a short excerpt taken from my novel) with all reference to weather removed. Doesn't it seem like it is missing something? Below, I've added the references to weather and my character's reaction to this weather. A car pulled to the side of the street about fifty feet from the apartment building. The windshield wipers beat furiously against the rain on the windshield. Inside, Joe moved a knob, blasting air through the defrost vents. The heavy rain and humidity made it almost futile to try to keep the window clear of fog. In the passenger seat, Lexi looked away from the red glow of the truck’s taillights in front of them, and noted the time on her notepad. In the above example, the reader (hopefully) is drawn more into the story or setting of this scene because they feel what the characters feel. So, weather actually becomes part of the setting. The writer can also choose weather and make word choices that foster emotional responses in the reader. The next thing you know, you'll have your reader emotionally invested in your story. Their feelings toward your characters will be cemented because they will feel as if they were right there with the character, seeing the sights, smelling the smells, and experiencing the weather in each scene. Beautiful, eloquent, timely... and just in time for more winter weather. Right on, Jim -- Write on!